SINGAPORE (GaeaTimes.com)- Zee Cine Awards 2011 was held at Marina Bay Sands in Singapore, yesterday night. The award ceremony is regarded as one of the most high profile events that salutes the contribution and hard work of the artists of the Indian film industry. Each category had two winners, who were either decided by public voting, in the form of popular choice or they were decided by the jury. Salman Khan’s “Dabangg”, was the winner of Best screenplay and Best song awards by popular choice, while the Jury decided “Udaan” to be the best film of the year at the Zee Cine Awards 2011. 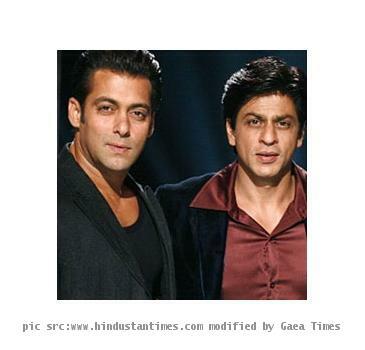 On the other hand, his renowned frenemy and the Baadshah of Bollywood, Shah Rukh Khan, bagged the Best Actor by Popular Choice for “My Name Is Khan”. Vidya Balan won the best actress award for “Isqhiya”, thereby making a hat trick this season, for her role in the same film. The acting honor by the jury were given to the Aishwarya Rai Bachchan and her hunky co-star Hrithik Roshan for “Guzaarish”. Karan Johar won the Best Director award for “My Name Is Khan” while Vikramaditya Motwane won the Jury award for best director for the film “Udaan”. The two ex-love birds, Deepika Padukone and Ranbir Kapoor were selected as the International Female and Male Icon respectively. Arjun Rampal won the best actor in supporting role award for “Rajneeti”, while Prachi Desai bagged it for “Once Upon A Time In Mumbai”. While daughter Sonakshi Sinha, entered the tinsel town with a bang in “Dabangg”, father Shatrughan Sinha marked his seniority by winning the Lifetime Achievement award at the Zee Cine Awards 2011. On the other hand, the two popular retro lovers and real life couple, Rishi Kapoor and Neetu Singh took home the Evergreen Couple Award. The award ceremony would air on January 30, 8:00 p.m on Zee TV. Anna Benson Out Of Spotlight? Shah Rukh Khan Pins Hope On "Ra.One"